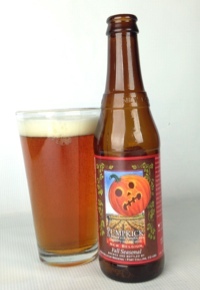 There isn’t a seasonal beer style more ubiquitous than pumpkin ale—it’s the defining “seasonal” of the American craft beer market, and likely what a lot of folks on the street would mention first when told to name a “seasonal beer.” Few flavors go into the vogue so hard and during such a limited period of time, but if you survey brewers, you’ll typically find them ambivalent on the subject. Some truly love a well-made pumpkin beer. Others only make them at this point because the customer base expects (and demands) a slew of pumpkin-flavored brews every fall. 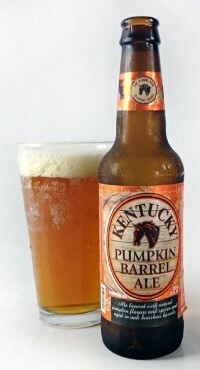 Perhaps it’s because of this obligation that we’ve seen more and more attempts at expanding the pumpkin beer category in recent years, as brewers think outside the box for ways to work the word “pumpkin” into a fall lineup in unique ways. It’s not all about the cut-and-dry “pumpkin ale” anymore—in 2014, you’re likely to find just as many pumpkin imperial stouts, pumpkin sours, Belgian pumpkin ales and barrel-aged pumpkin brews. And we here at Paste tasted them all. Yes, in our 4th Annual Pumpkin Tasting, we had more beers than ever before. Good, bad and middling, we tried 25 different pumpkin ales, and ranked them from worst to best, including 15 from last year’s tasting that we didn’t repeat. Some of last year’s beers that we re-tasted made incredible leaps as they gained new appreciation among our tasters. Others slipped down from their high spots. 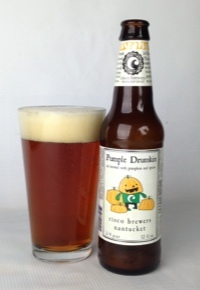 Here we countdown from the worst to the best pumpkin beers we could find. Let us know which ones we’ve still somehow missed in the comments below. Tastes like: Decades-old Easy Bake Oven brownie mix, rehydrated with black licorice liqueur. Perfect for: Crafting an extremely effective homemade ipecac. 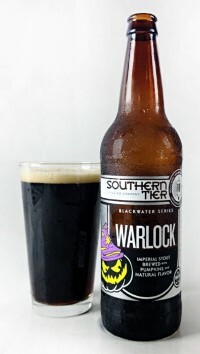 The verdict: The unholy big brother of Pumking, it’s like taking that already offensive beer and stirring in a mixture of Nestle’s Quik, liquefied black licorice and whatever form of tar they use to pave blacktops. 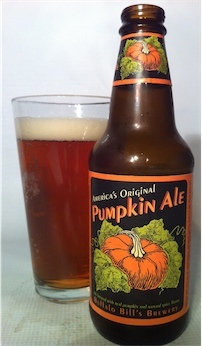 The verdict: This is everything wrong with pumpkin ales. It tastes more like whoever dreamed up the Bud Light Lime Lime-a-Rita imagines pumpkin beer should taste like. Tastes like: Budweiser made it. The verdict: Q: What do American macrobrews and making love in a canoe have in common? A: They’re both f—-ing close to water. Perfect for: When you’re so thirsty you don’t care what your beer tastes like. The verdict: The only real flavor coming through is the pumpkin sweetness, but even that doesn’t hit you very hard in this bland entry from a promising brewery. The verdict: The lightest colored beer of the bunch has an overpowering cinnamon flavor that overshadows other notes like pumpkin…and beer. 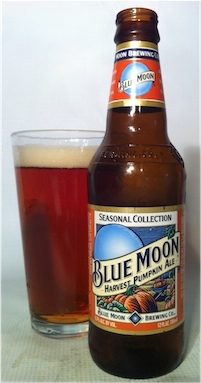 The verdict: Blue Moon’s attempt at a pumpkin ale tastes a lot like you’d expect. Call it a citrus-y pumpkin wheat. The verdict: Hops meet spice with very little body or complexity. The verdict: The booziest of the bunch unfortunately wasn’t one of the best. Like Southern Tier, the idea here seems to be Maximum Pumpkin Overdrive and only works if you love pumpkins even more than you love beer. Tastes like: Past-ripe pumpkins and old socks. Perfect for: Giving to that one friend who loves Pumpkin Anything. The verdict: There’s something definitely off here. 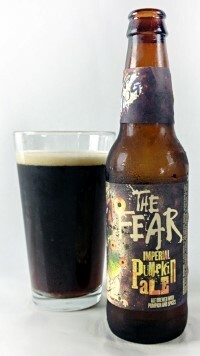 This imperial pumpkin ale shows its booze off, but there’s some kind of funky flavor component present that lingers on the tongue like wet cardboard. Not pleasant. 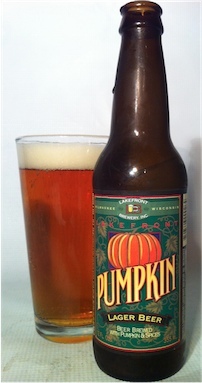 The verdict: This “lager beer” definitely doesn’t skimp on the pumpkin but that didn’t turn out to be a great thing. Perfect for: An unseasonably early snowfall. 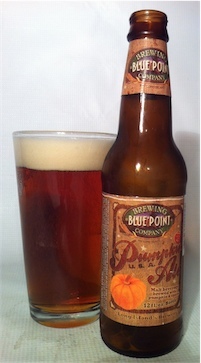 The verdict: Last year we were unimpressed by Bluepoint’s pumpkin beer, but it faired a little better this year—either the beer or our tastebuds must have improved. 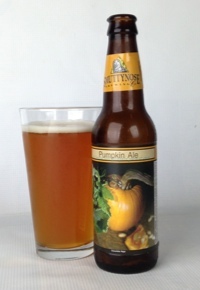 Tastes like: Slightly vegetal, in an authentically pumpkin sort of way. Perfect for: A fireside pumpkin roast. The verdict: Actually tastes a bit like pumpkin or squash, more authentically than most. A mild mix of spices cover all the bases. 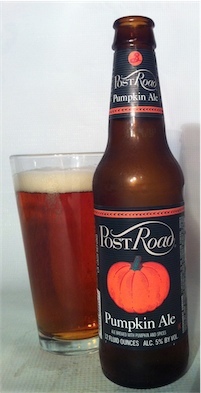 Pretty decent, middle of the road, easy-drinking pumpkin ale. The verdict: The nutmeg hits you before you even take a sip. The spices almost hide the flavor of the pumpkin. Not the best balanced, but undeniably flavorful. 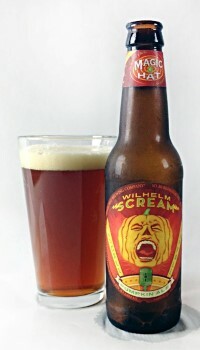 It’s the first beer I’ve tasted that begged for a scoop of Cool Whip on top. Perfect for: Making sure First Contact is a friendly affair. 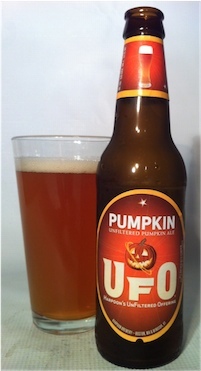 The verdict: This unfiltered ale smells like pumpkin bread with mild but tasty pumpkin and spice notes. 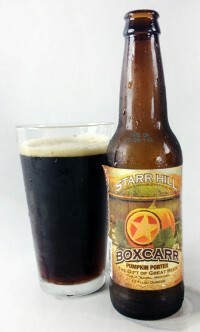 Tastes like: A standard American porter haunted by the ghost of pumpkin pie. 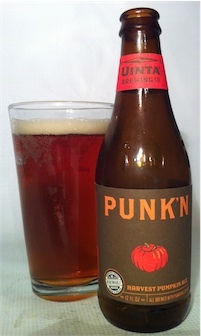 Perfect for: Dark beer fans who just want something with “pumpkin” in the name. The verdict: A solid but unremarkable porter attached to some mild pumpkin flavor and spice, which is probably a good thing. 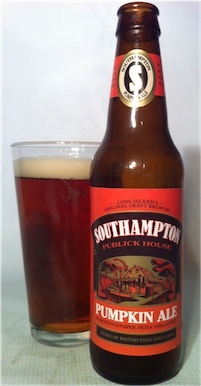 Only stands out as much as the base beer, which is to say not much. 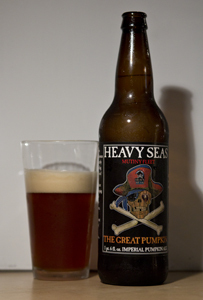 The verdict: Heavy Seas took the best name for a pumpkin ale, but it’s a PINO (pumpkin in name only). That’s not to say that it’s not still yummy. The hoppiest beer of the bunch, The Great Pumpkin is a little soapy on the head but with hints of spice that still make for a tasty fall beer. Perfect for: People who want to get in the spirit of the season but frankly would rather just drink an IPA. 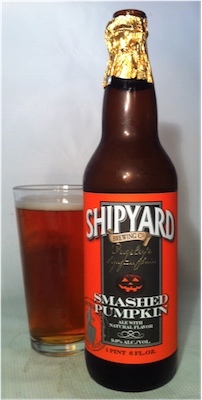 The verdict: This is no hop bomb, but the floral notes still overpower the pumpkin and spice flavors. Perfect for: Listening to The Fall. The verdict: The McAuslan is unique in that the pumpkin flavor is at the front without the beer becoming too syrupy sweet. A cider-like effervescence gives it a lightness that balances the spice. Perfect for: People who only drink sours. 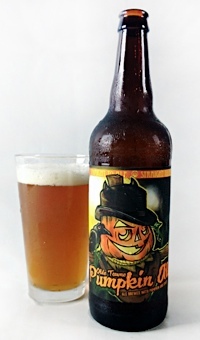 The verdict: Jolly Pumpkin must have felt some pressure to brew a pumpkin beer—it’s in the name for crying out loud. But be warned that this is full-on sour—and the combination of pumpkin and sour takes a little getting used to. 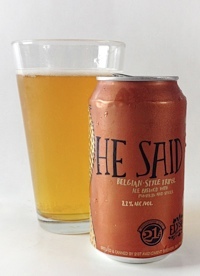 The verdict: A flavorful beer with more hops and even malts peeking through the always-present pumpkin notes—all the more surprising since this is technically a pumpkin lager, not an ale. Creative stuff. Perfect for: Halloween in May. 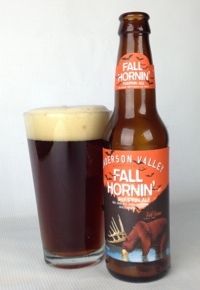 The verdict: This is a year-round pumpkin beer, ‘cause that’s how they roll out in California. 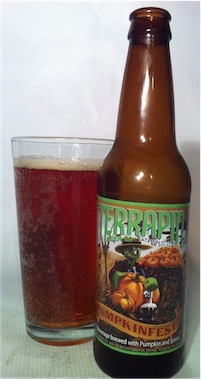 The pumpkin is mild, but the beer is very drinkable. Perfect for: People who would rather be drinking a barrel-aged stout. The verdict: Not overpowering as one might expect from a bourbon barrel-aged pumpkin ale, mildly tart with restrained wood and whiskey character and a tasteful level of pumpkin pie spice. Slightly better than expected. 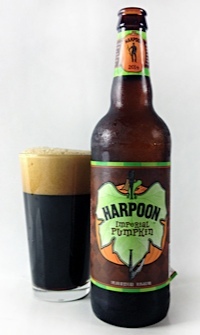 The verdict: Harpoon started with a big roasted-malt imperial stout and then tossed in a bunch of fresh pumpkin puree, molasses, cinnamon, nutmeg. The result is almost overwhelming flavor—this is definitely sipping beer. The verdict: Iron Hill loves making pumpkin ale. The New Jersey brewery has 19 different varieties from rum-barrel aged pumpkin ale with brett to pumpkin weiss to pumpkin dubbel to a maple vanilla pumpkin ale. 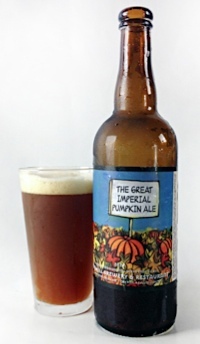 We tried The Great Imperial Pumpkin Ale, which has a great Charles Shultz-inspired label without getting into copyright issues. Made with Belgian candi sugar and molasses, it’s a very cloudy whopper of a beer. The verdict: Nutmeg and cinnamon are the basis for this spicy, complex, but smooth pumpkin ale that’s surprisingly flavorful for its low ABV. 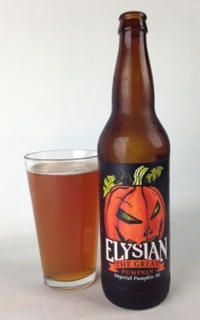 The verdict: Elysian manages a massively pumpkin-y beer without the puckery sweetness of some of its fellow bombers. There’s a big bite and the front end that doesn’t let you forget you’re drinking beer. Perfect for: Any day between Sept. 21 and Dec. 21. The verdict: They may be just a few barrels shy of mass-produced but Sam Adams often beats the craft brewers at their own game. This was one of the best balanced beers of the bunch—darker, maltier and full-bodied. 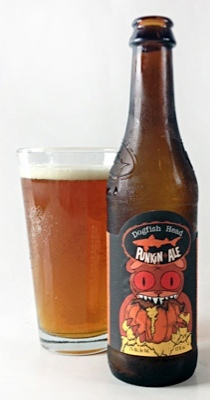 Tastes like: A surprisingly restrained bourbon barrel presence in a typical pumpkin ale. Perfect for: People who simply want to dip a toe into barrel-aged waters. The verdict: Even more subtle overall than the Pinchy Jeek Barl in terms of its barrel-aged character, this was actually a mildly pleasant surprise. Just enough bourbon barrel to let you know it’s there in an ale that wouldn’t be very interesting otherwise. Perfect for: Gearing yourself up for the onslaught of Trick-or-Treaters. 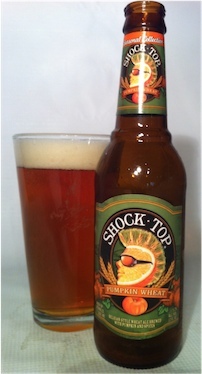 The verdict: Ginger, cinnamon and nutmeg make this a dessert of a beer while citrus hops bring it all into balance. Just a well-crafted beer. The verdict: We may not have been swayed by The Great Pumpkin, but the Greater Pumpkin just isn’t messing around. 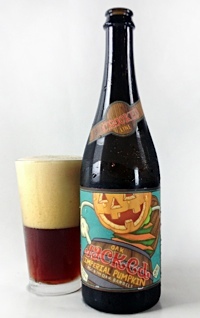 This is a boozy beer, aged in bourbon barrels, balancing the pumpkin and spice with a whiskey kick. Perfect for: People who love pumpkins but not pumpkin-spice lattes. The verdict: So many pumpkin beers are actual fall-spice beers, but Alabama’s Straight to Ale leads with the gourd, adding a unique set of herbs to the mix. It’s more vegetable than sweet, but the combination works. The verdict: Both of 21st Amendment’s He Said collaborations with Elysian Brewing use pumpkin and fall spice as subtle instruments in a larger symphony. This is a Baltic-style porter first, a pumpkin beer second. And it happens to be a big, bold, roasty porter weighing in at 8.2% abv. 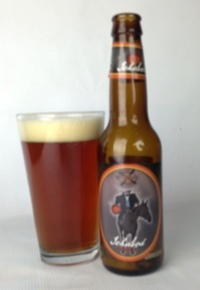 The verdict: With a very Halloween-y 10.31% (get it?) ABV, this oak-aged behemoth has a giant sweet malt backbone with notes of whiskey, pumpkin, vanilla and spice (in descending order). The verdict: We could drink a good Belgian-style tripel in any given situation, whether we’re eating a big steak or mowing the grass. 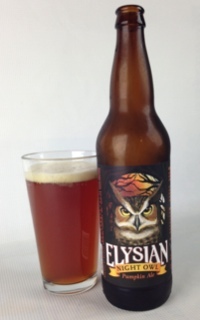 21st Amendment and Elysian Brewing have created a delicious tripel with subtle pumpkin and terragon flavors. The secret ingredient is galangal, a ginger-like root. 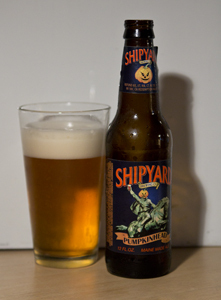 The verdict: Very pumpkin-forward without the cloying sweetness that other very pumpkin-y beers have. 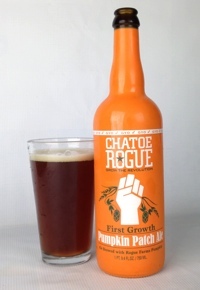 Rogue grows its own pumpkins and the beer is surprisingly light and fresh. 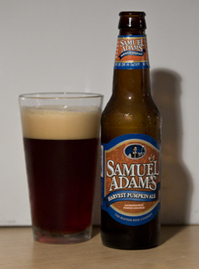 The verdict: It tastes unmistakably pumpkin-y while still very much tasting like beer. The label lists cinnamon, nutmeg, cardamom and cloves, but no single spice throws it off balance. Our winner in last year’s tasting did well once again. Perfect for: A cold fall night on the porch. Cigars optional. The verdict: This great, big beer is malty sweet as opposed to fruity sweet with just a hint of pumpkin and spices to qualify as a pumpkin beer. A definite outlier from the style, but so very delicious. The verdict: This is a lambic without the fruity sweetness. We’ll admit we didn’t appreciate the value of that in last year’s tasting, but this is a wonderfully unique take on pumpkin beer. Subtle and refreshing. The verdict: Made with cranberry juice and lemongrass in addition to the usual pumpkin and fall spices, Pumpkick has a pleasant tartness not found elsewhere on this list. 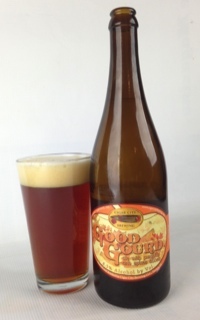 It’s a more accessible version of Kick from New Belgium’s Lips of Faith series. 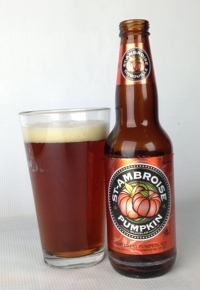 Tastes like: A strong, malty beer with pumpkin and spice to match. 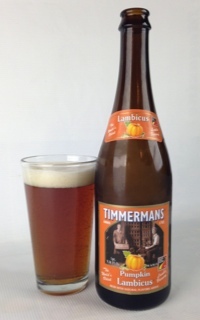 Perfect for: Impressing your beer-geek friends who think pumpkin beers are novelties. The verdict: While the beers with the most pumpkin flavor tended to turn off our panelists with a cloying sweetness, Cigar City treats the pumpkin as a vegetable, finding sweetness from the ever-present malts in beer. 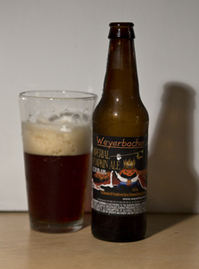 The result is a very pumpkin-and-spice-forward beer that doesn’t taste like candy or pumpkin pie. 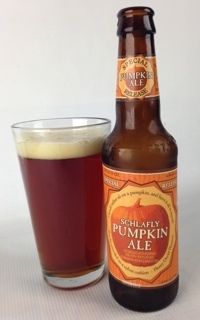 It tastes first and foremost like a big, complex malty beer with strong enough of a backbone to carry the pumpkin and fall spice flavors. 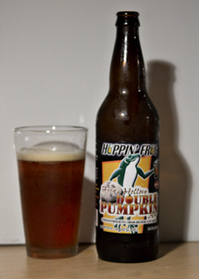 This is pumpkin beer done right. The verdict: The pumpkin is subtle, but Punkin still tastes like fall thanks to all spice, cinnamon, nutmeg and a hint of brown sugar. It’s a well-balanced, delicious beer—just what we expect from one of our favorite American breweries. 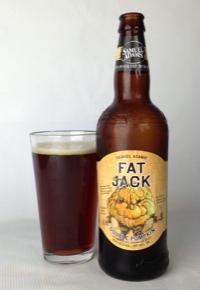 The verdict: This is center-of-the-bullseye pumpkin ale weighing in at a hefty 8%. 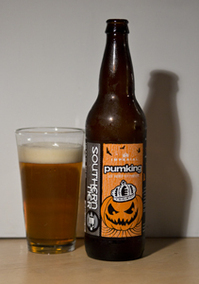 The Missouri brewery’s secret weapon seems to be the butternut squash. 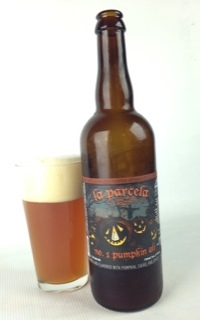 So tasty and so refreshing, it’s the Paste 2014 Pumpkin Beer Champion.